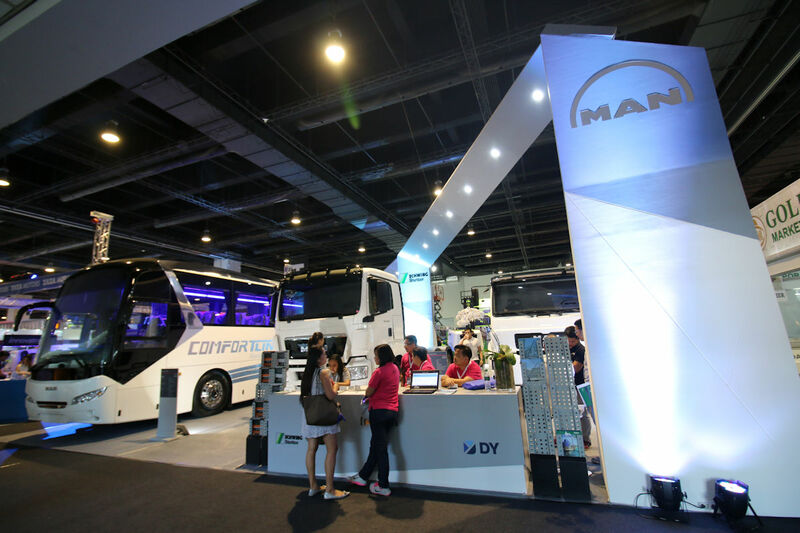 The sixth Transport and Logistics Show is happening this August 16 to 18, 2018 at the World Trade Center in Pasay City. The show brings together hundreds of manufacturers and distributors of commercial vehicles, trucks, buses, and more. Considered catalysts of economic growth in the Philippines, the transport and logistics sectors stand to benefit greatly from the government’s Build, Build, Build program. In fact, the Department of Finance (DOF) has urged corporate giants in the logistics industry to help local enterprises take advantage of the benefits of state-of-the-art distribution network set to be produced by various infrastructure projects being lined up by the government. With that, the Transport and Logistics Show brings brands such as Chevron Philippines, Hyundai Asia Resources, Inc., MAN Automotive Concessionaires Corporation, Mitsubishi Motors Philippines Corporation - FUSO, Pilipinas Shell, Sobida Motors Corporation, All Global, Inc. (JMC), Hino Philippines, United Asia Automotive Group (Foton), Autokid, and more together. Aside from the Transport and Logistics Show, a special one-day forum brings together both private and public sectors to discuss policies, trends, and best practices that will shape the future of the industry. This year’s forum will focus on the relevance of the Build, Build, Build program to the sector, covering topics such as BBB towards a strong transport & logistics industry, Paving way for an Efficient Logistics Sector, National Logistics Master Plan in Action, Regulatory reform initiatives of PPA, and more. In addition, Automechanic Philippines, a showcase of automotive aftermarket parts and accessories will also happen alongside the Transport and Logistics Show. Entrance to the show is free, but show goers need to register first through this website.